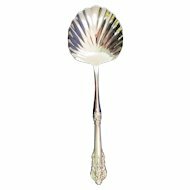 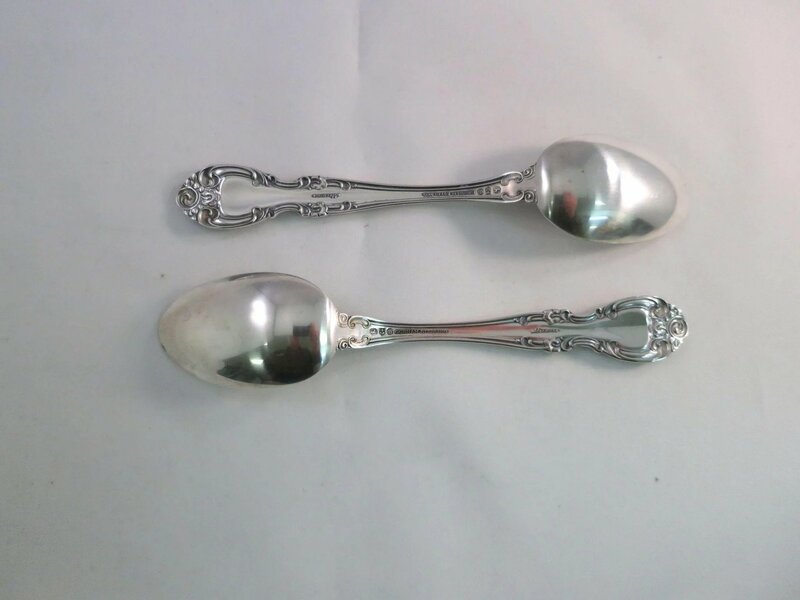 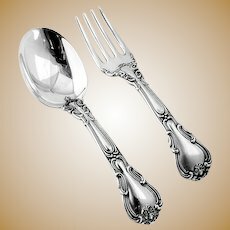 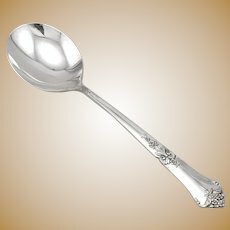 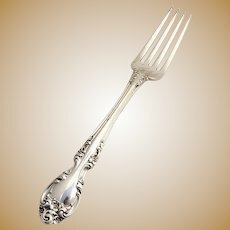 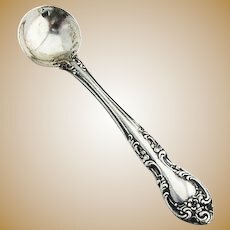 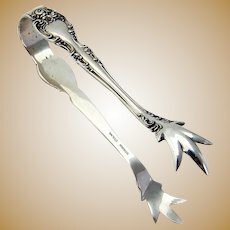 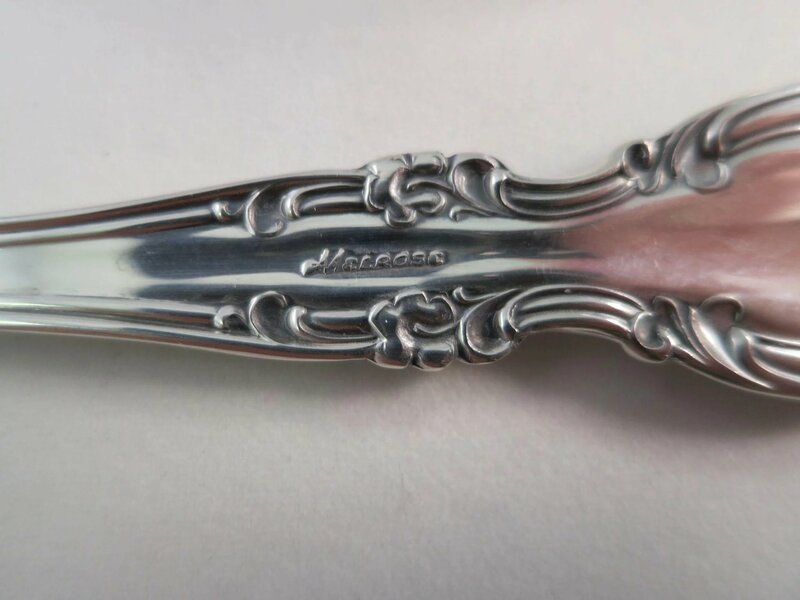 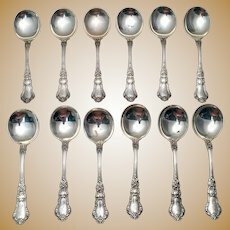 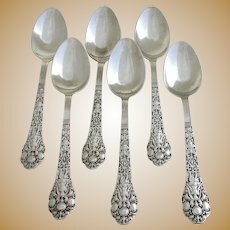 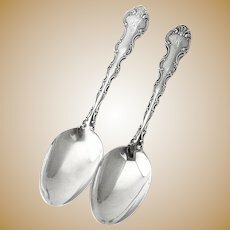 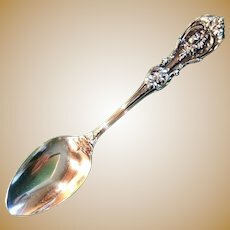 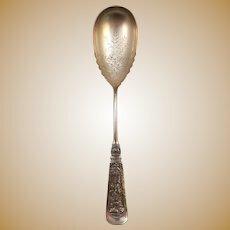 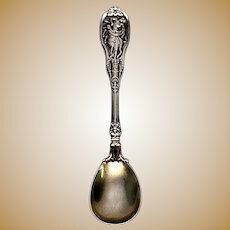 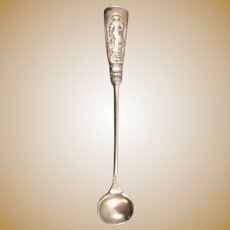 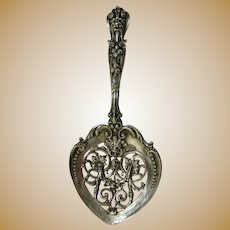 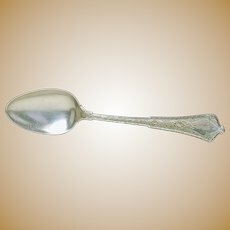 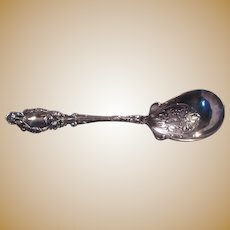 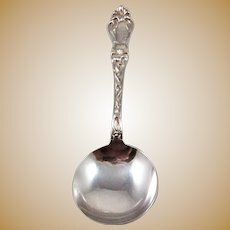 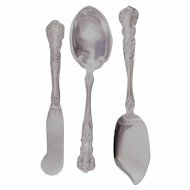 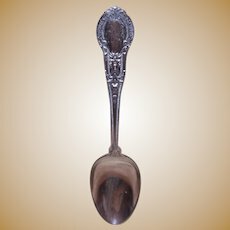 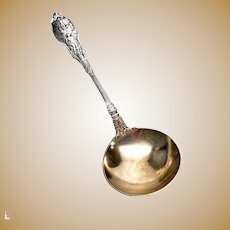 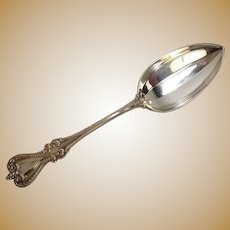 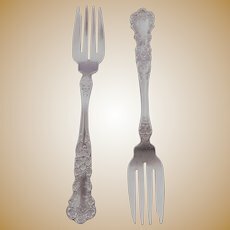 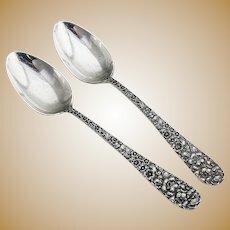 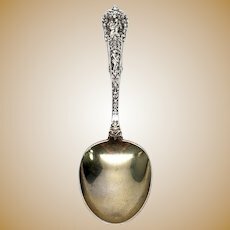 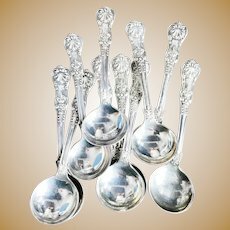 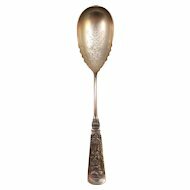 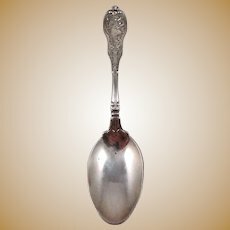 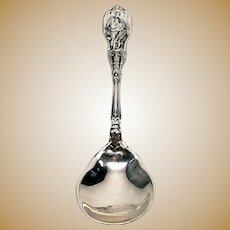 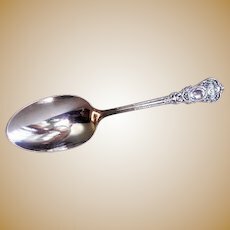 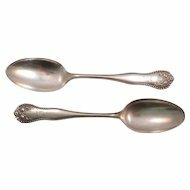 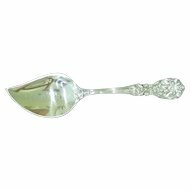 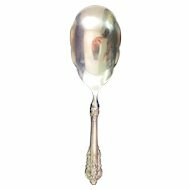 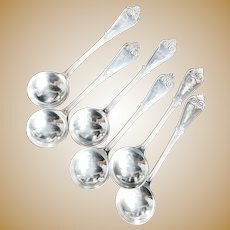 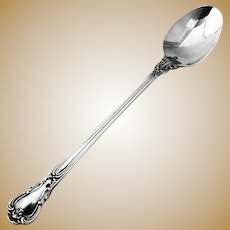 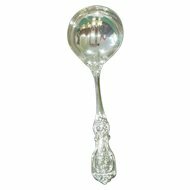 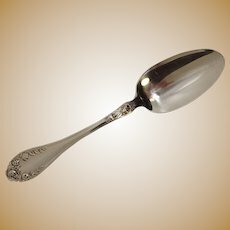 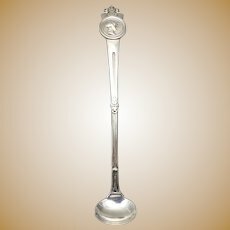 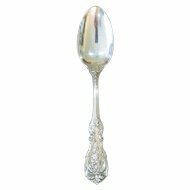 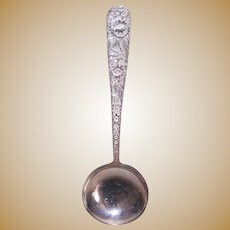 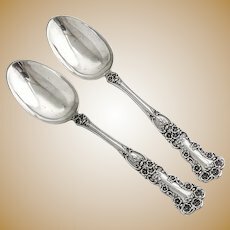 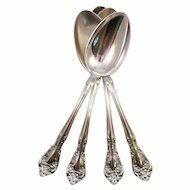 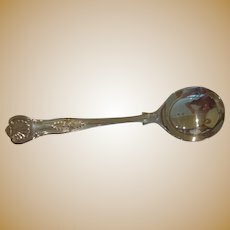 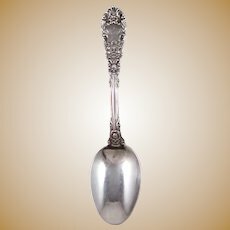 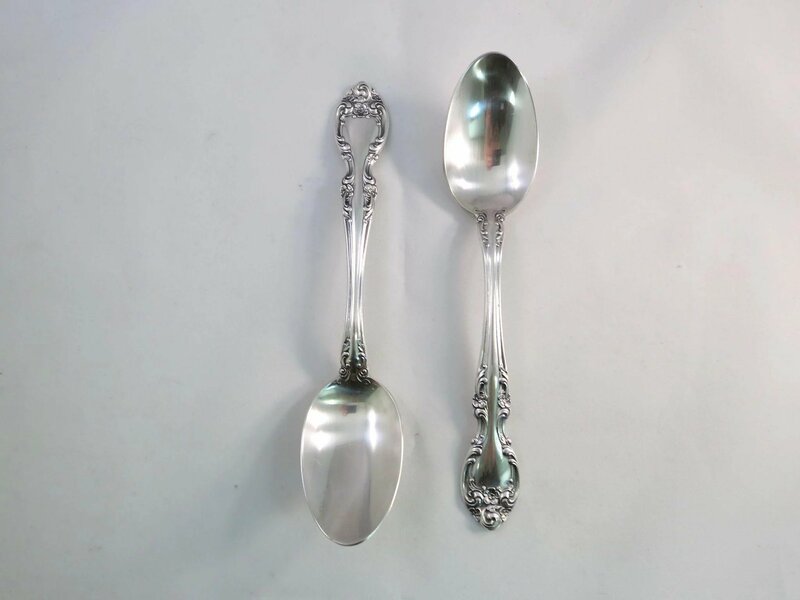 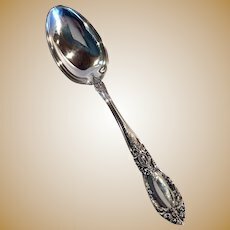 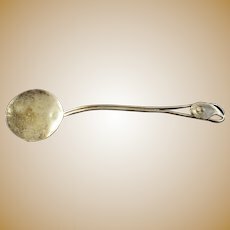 Offered from a fine Texas estate are two Melrose sterling silver 6 7/8" oval dessert / soup spoons. 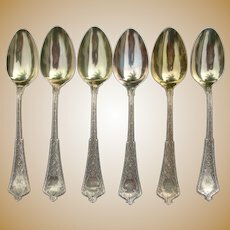 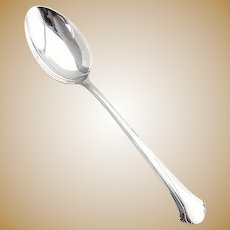 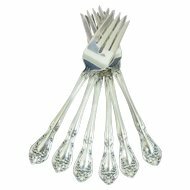 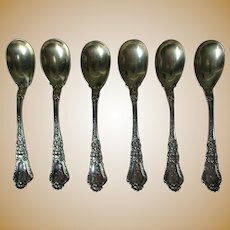 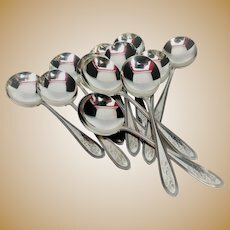 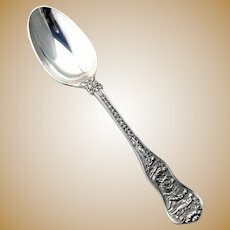 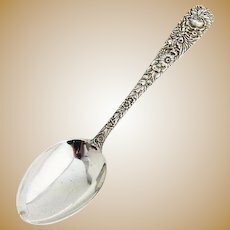 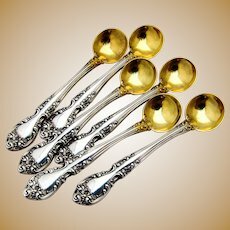 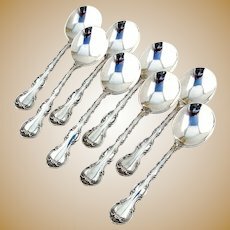 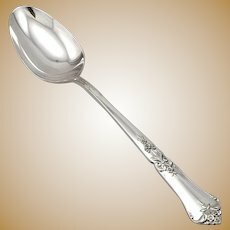 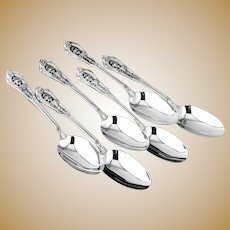 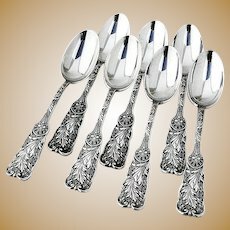 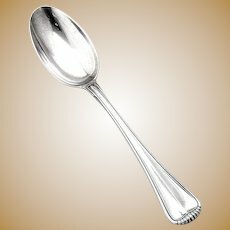 These spoons are in excellent used condition with no dings, dents, or monograms. 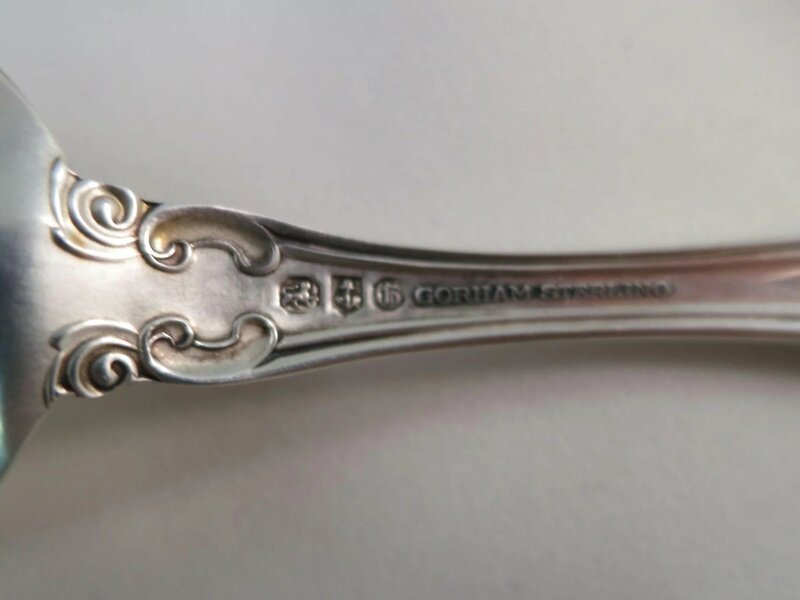 Appropriately marked with the Gorham Lion, Anchor and G as well as "Gorham Sterling" and "Melrose". 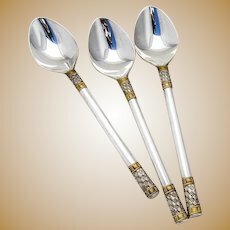 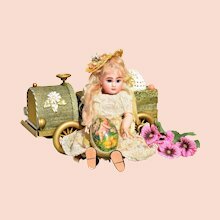 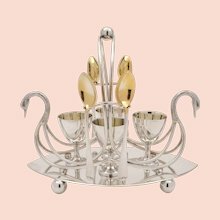 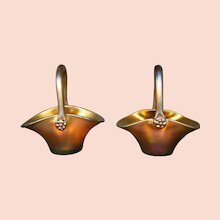 Three additional sets of two soup spoons are available. 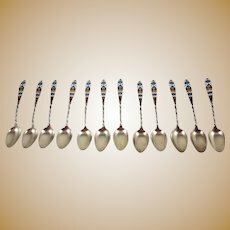 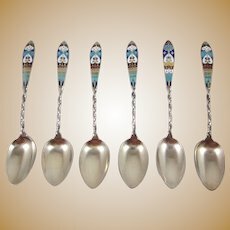 Note the black spots and colors on the spoons are reflections and are not on the actual pieces. 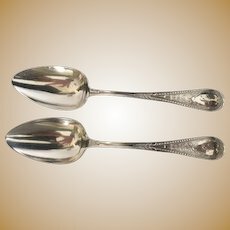 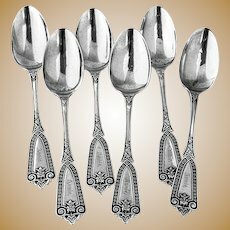 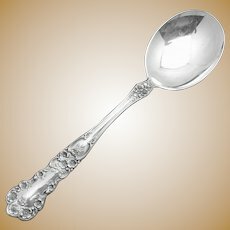 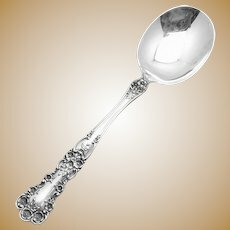 These spoons are being offered at a lower price for two spoons than the largest online replacement sterling provider charges for one spoon ($85.95). 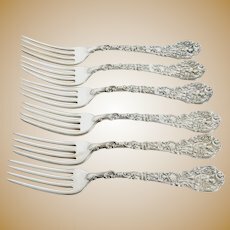 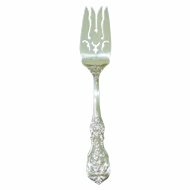 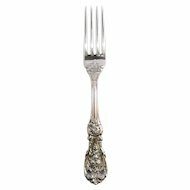 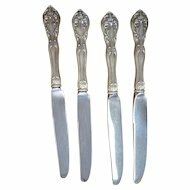 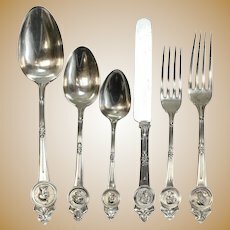 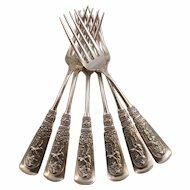 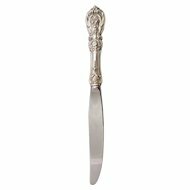 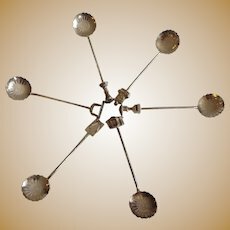 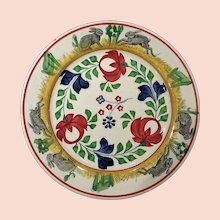 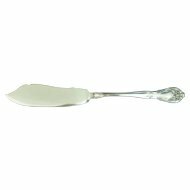 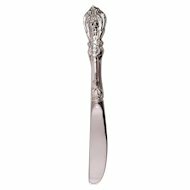 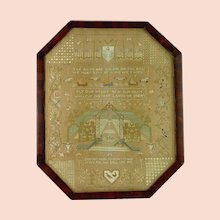 In addition, from the same estate we will be listing Melrose large 9 1/2" knives, 7 3/4" dinner forks, 6 3/4" salad / dessert forks and several serving pieces.